Mona Brookes explains, in her book, Drawing with Children, "The contour edges of the objects you wish to draw and the spaces between them are represented by continual patterns of these same five elements." Once a student feels comfortable drawing these simple shapes, confidence in one's artistic ability is strengthened. 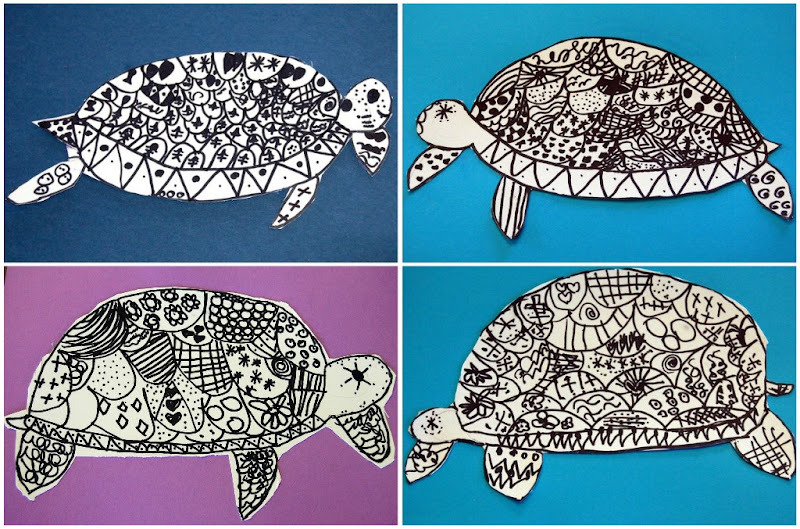 This Turtle Doodle project is a wonderful way for students to practice repetitive dots, circles and lines. It encourages self-expression and looks beautiful too! This project was inspired by this and this.